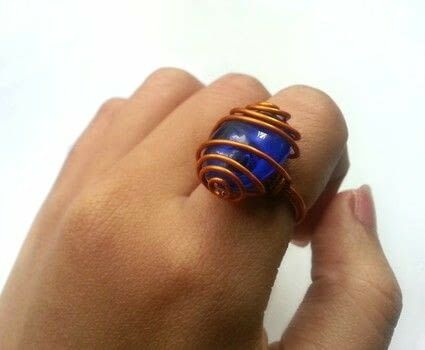 A fun jewelry project to try out. Take a long piece of wire (around 20 inches or more, depending on your ring size). Wrap the wire around the mandrel 2 times from 1 size larger than the actual ring size. 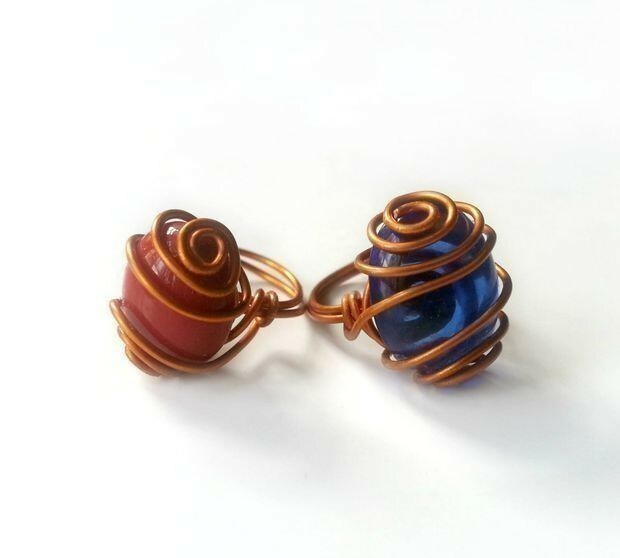 Keep equal amount of wire on both sides after wrapping. 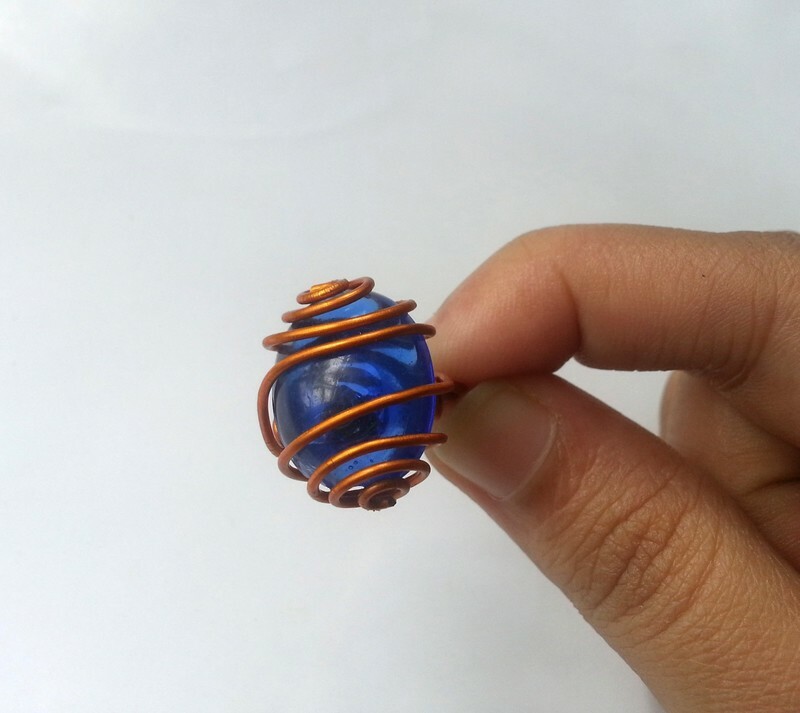 Now coil both sides of the wire in a counter clockwise motion to create the base. Use flat nose plier to flatten the base, so that the stone stays perfectly on it. Nicely coil the wires 2-3 times around the ring band, on both sides of the base. 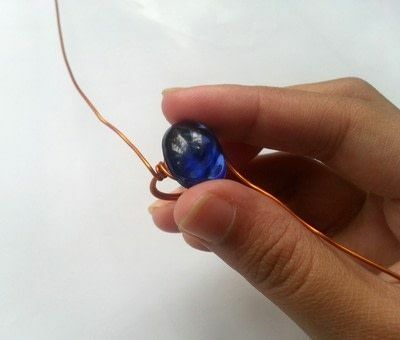 Take any 1 side of the wire and wrap the stone as shown in the picture. After wrapping the stone 2-3 times, create a swirly pattern with the rest of the wire. Trim extra wire if needed. 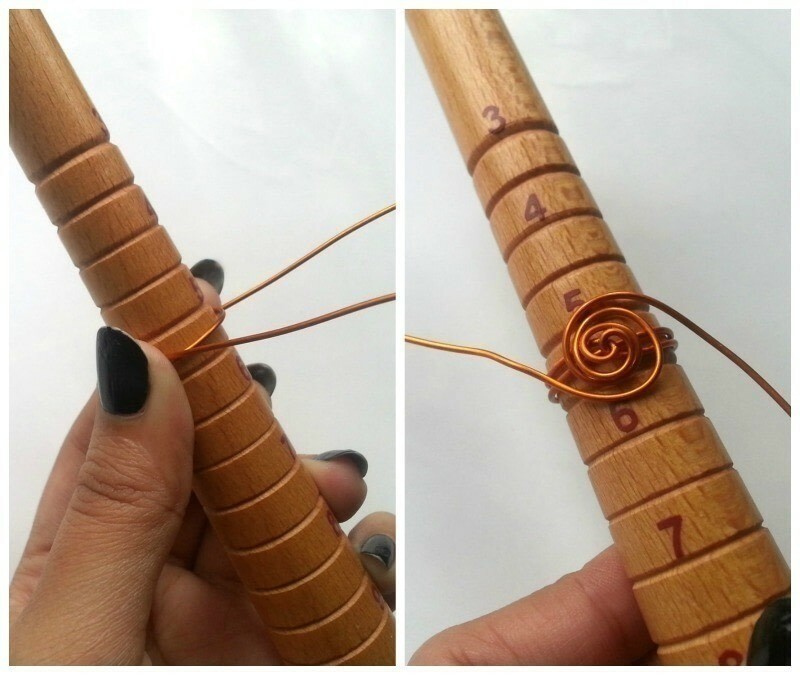 Keep the wraps and swirl loose, do not tighten them. 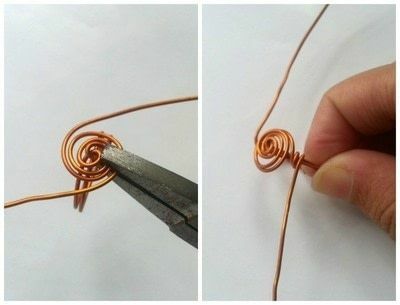 Use the looping plier to create the swirls. Similarly, wrap and create a swirly pattern on the other side. Enjoy! 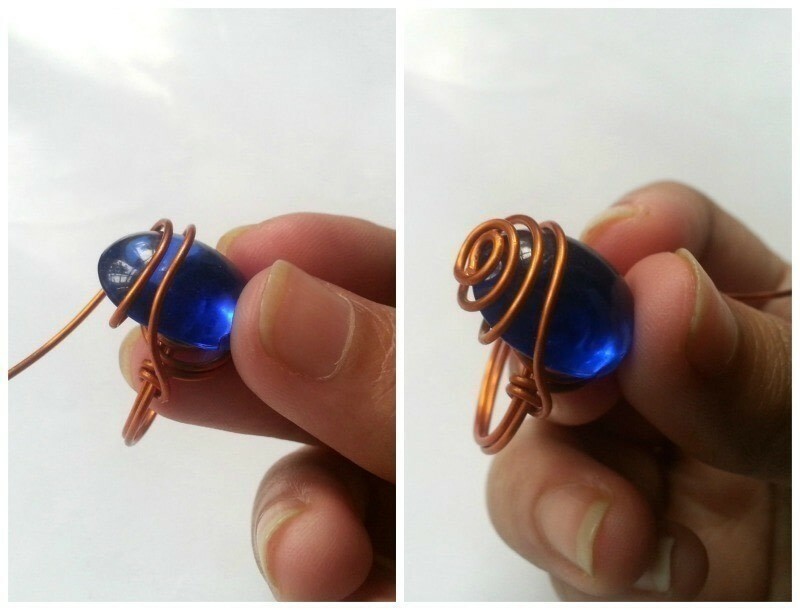 The hardest part is trying to hold the stone while wrapping it.